• Studies show that children heal better and faster when their families can be near them during recovery. 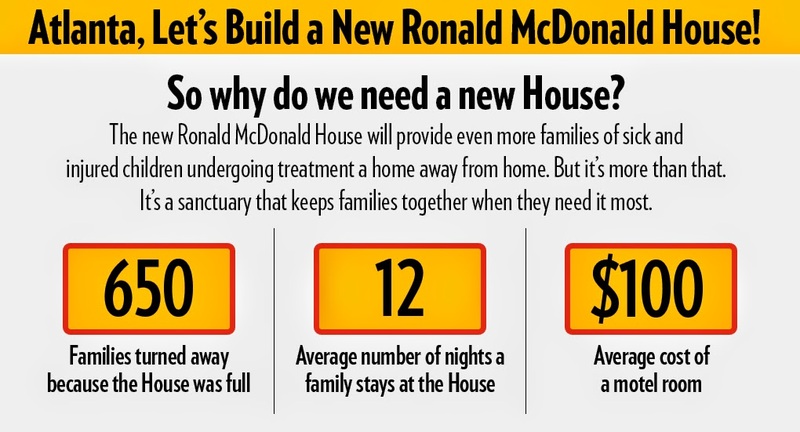 The Ronald McDonald House provides families with a home away from home during some of the most challenging times in their lives. • Plans for the House are centered on building a welcoming home that offers the basics necessities of life: a comfortable, convenient refuge near the hospital. 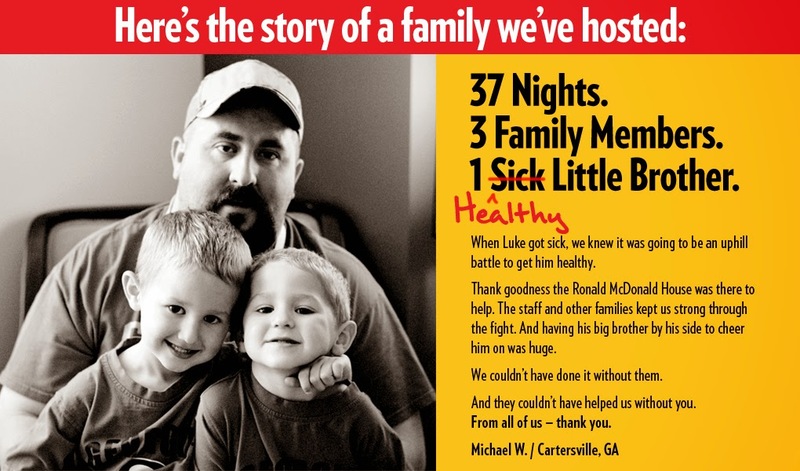 • In addition, 24-hour transportation is available to and from the hospital, and families are provided with healthy meals, positive distractions and the compassion and community of other families, volunteers and professional staff that helps each family focus on what is most important — the healing of their child. ARMHC is a non-profit 501 (c) (3) organization dedicated to serving the needs of children by providing temporary housing and support services to families of ill and injured children being treated at local hospitals. The two Atlanta Houses have provided a home away from home to more than 44,000 families since the first Atlanta House opened in 1979. For more information about ARMHC, please visit www.armhc.org or call (404) 315-1133. We are excited to launch our latest crowdfunding tool, Friends Asking Friends (FAF). FAF is a simple and easy way to fundraise for us. You can create a personal fundraising page and have family and friends support your personal goal, create a campaign team and work as a group to achieve a team goal, or make a donation to the new House. FAF easily integrates with your social media and email allowing you to share and grow support!